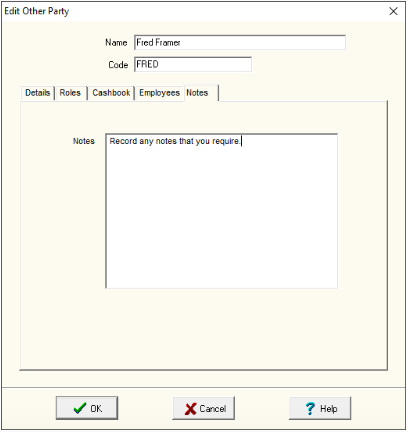 You will need to set-up employees in Wagebook before you can record or print payslips for them. 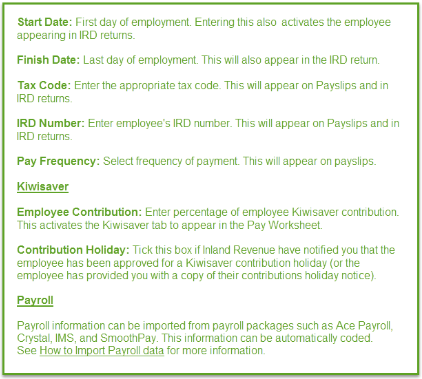 Tip: You will need their employee details such as: start date, income tax code, IRD number, and KiwiSaver details. 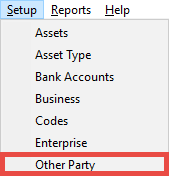 Step 1: From Wagebook, click on Setup and select Other Party. 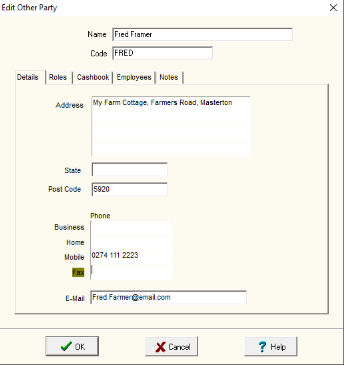 Step 3: Work through each of the tabs completing the fields and then click OK to save. Read below to see an example of Fred Farmer being set-up in Wagebook. 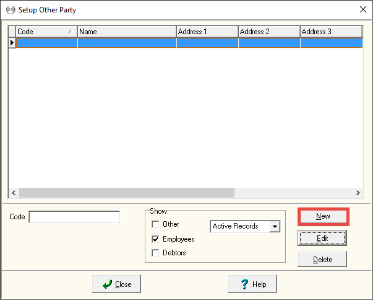 Details - -> Record contact details (such as address, phone, and email). Roles -- > Set as an Active employee. 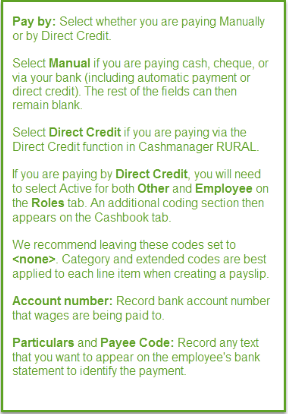 Cashbook -- > Record whether they are being paid manually or by Direct Credit (via Cashmanager RURAL). 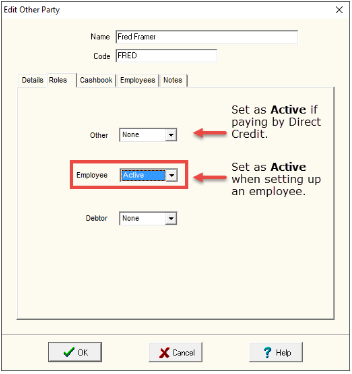 How to Set up Direct Credit payments. 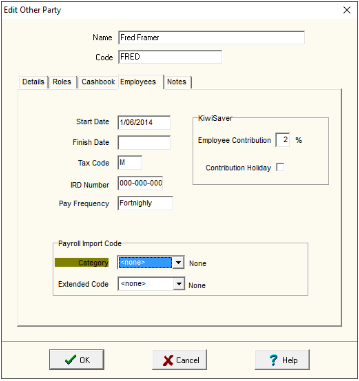 How to Import Payroll Data. 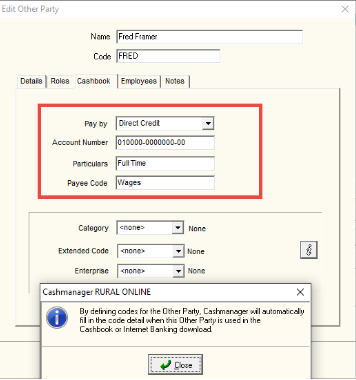 How to Create a Payslip.